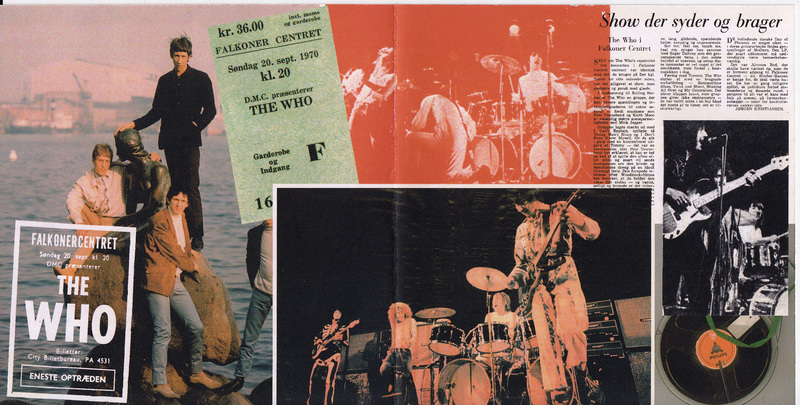 The Who played in Copenhagen twice in 1970; first in January, then in September. This is the recording of the latter show. The download I got it from had no info file, so sorry, no lineage. Most likely it was liberated from the bootleg cd the cover of which was attached. 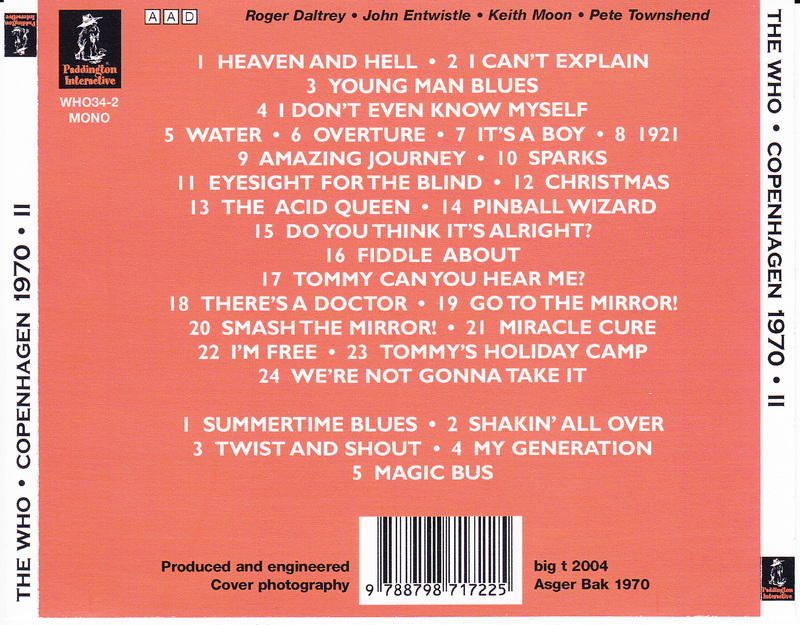 Curiously enough, the track listing on the booklet features the original division into discs. The back inlay features a more sensible way of dividing, without splitting Tommy in halves. I put the tracks into an even different order, which makes more sense to me. There was a long, very quiet passage before the Overture, you could not even hear Pete speak, audience clap or anything, you just guessed something might be happening somewhere in the distance, so I decided to delete 90 seconds of this useless silence. Therefore you will get just 7 seconds of it before Tommy begins, and that is more than enough. Then I xpanded the volume of the first chord that was very silent to match rest. Sparks were split into two tracks, which I merged back together. 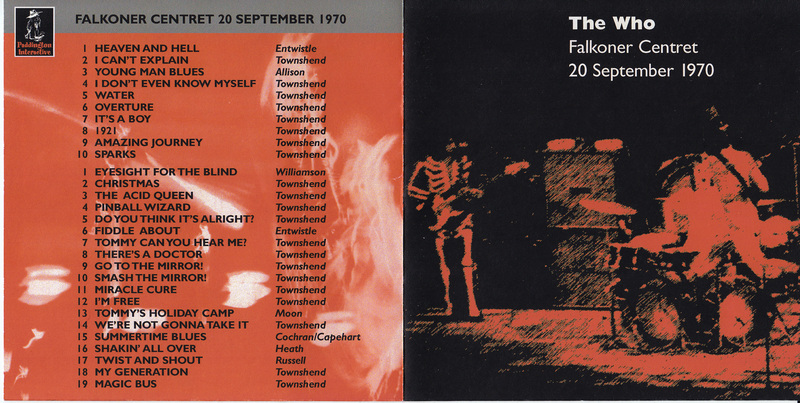 Fades were applied after the dividing passages (the intro songs, Sparks, after Tommy). I tried to diminish the gaps as much as possible to make the recording more fluent. There are a few cuts (in 1921, most prominently), nothing could be done about those. The quality of the recording is not stellar either, B- or even C to my ears. During Heaven And Hell the taper was fidling with the recording volume so the sound fades down and almost disappears a few times. So this is definitely not the recording to match the best standards of that year, still a worthy addition to complete the collection. Enjoy!